Fly fishing gear is like candy. Or better than candy. There’s no joy like the permission one gives himself or herself to buy a new fly rod or reel, or purchase a new pair of waders. Click now to listen to “Fly Fishing Gear We Use.” In this episode, we discuss our fly rods, waders, vests, and nets. 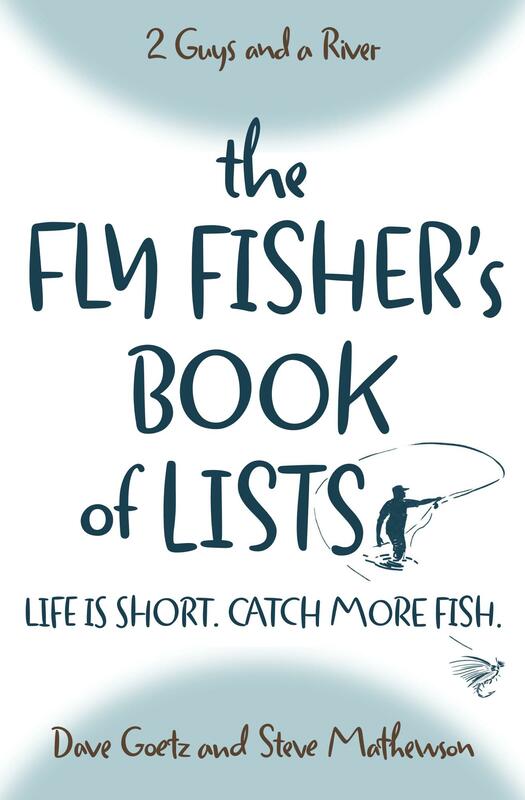 What fly fishing gear do you recommend? What have you found works best for the rivers you fish? The pronunciation of my name in Italian language was correct: I appreciated. Be sure to let us know how the fishing goes for you in Colorado! Take care and have a great trip. I am going to have to disagree with you on the rod being the most important piece of gear. For me it’s the wading boots and waders. My boots have to be strong, sturdy, comfortable and above all else, SAFE. My life depends on my boots. As we all know wading is the biggest danger for fly fishers. My boots are where my money goes. I currently own the Patagonia foot tractors. In my opinion they are the sturdiest most comfortable boot on the market. The aluminum bars are also like magnets on the rocks. My waders also have to be comfortable. I use the the Patagonia Rio Gallegos. They are the top of the line and are pricy but comfortable. They come with built in knee pads that are removeable. They have 4 layers of material in the knee and gravel gaurds. Pretty much bullet proof. I use Orvis rods. Currently using the Recon with Hydros reel. Great setup. You wouldn’t be able to tell the difference between a Recon or the H2 except in your wallet. I also just starting using the Patagonia storm front sling pack. This pack is large and holds a lot of gear. 100% waterproof. I do not get paid by these companies either by the way. I like the gear. I use it on a daily basis. The gear is pricy but you get what you pay for. The warrenties are also the best in the buissness. As well as the customer service. We don’t mind a little push-back 🙂 It’s never wrong to go with safety first. Actually, I’ve had my eye on the Patagonia foot tractors as the next pair of boots when my current ones wear out. A friend of ours in Montana (former fly shop owner and currently a guide) really likes them. I guess we’re blessed that we haven’t had to choose between good rods and good wading boots and waders. Personally, I’d tend to spend more on boots than on waders. It’s true that you get what you pay for. But I have to say that my mid-level Patagonia waders have been as bullet proof as my Simms Waders (which were their top of the line waders when I was given a pair). Perhaps if I fished every day or even a hundred days a year I’d notice a difference. But I’ve used them both quite hard about 10-12 times a year each over the past 12 years (14 years for the Patagonias). Thanks as always, Glen, for your insights. I think the best advice for new fishers is to hold off on buying an expensive rod until you know what kind of caster you are. Every spring, Orvis offers a free fishing class and gives the participants a coupon for 20% off any rod, reel and line combo; that’s a great place to start. You can get a perfectly serviceable outfit without going broke. It’s a nice starter package, though I would never recommend a starter rod-reel combo, even if it is recommended by Orvis. Think you can do better buying them separate. Sorry, I wasn’t clear, it’s not 20% off a starter combo, it’s 20% off ANY rod, reel, and line you want to buy. So if you wanted to buy a Helios 2 rod, CFO reel and top of the line, uh, line, you could. My first rod was a Clearwater which I still use as my backup. I’m not affiliated with Orvis, but that’s a nice deal. Sorry, I also had meant to say that I’m pretty sure that Ross Reels mentioned in the podcast is owned by Orvis. Ross Reels was owned by Orvis. Not any more. I think it was sold in 2013. It is owned by Mayfly Outdoors, which means nothing to me, since I’ve never heard of them. Operations are in Montrose, CO.